A custom printed rubberised logo sunglass makes a good gifting item in any season. Companies can always explore its potential to improve their visibility. 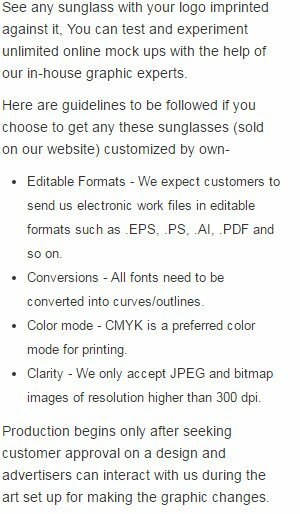 This custom printed sunglass is usually favored by all types of advertisers due to its unique appearance. Huge purchases are always supported with volume discounts. When ordering blank items of this product either exactly 1 or atleast '+48+' must be ordered!